quality and reliable Business Phone Systems. 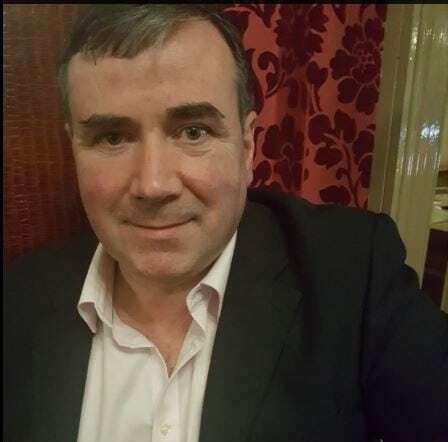 Fergal has 20 plus years experience working in several companies within the telecommunications industry including Computer Cab Plc London, Stentor, Enterasys(Cabletron) Shannon and other Telecommunication companies. Fergal’s background is installing and maintaining RF base stations and radios, Carrier grade Telecommunication transmission equipment, Call Centre analysis reporting and Telephone systems. Lantel prides itself in using only the best in class telecoms and Phone systems technologies. Since 2004 Lantel has been an Acredited Certified partner of Avaya. Lantel supply and maintain both Avaya and Nortel Business Phone systems to both the SME and Enterprise markets. Since Avaya’s takeover of Nortel in 2009 we have increased our customer base substantially as we can also offer maintenance to any customer with a Nortel phone system. We can also offer an easy upgrade path to existing Nortel customers who may wish to upgrade to the latest Avaya PBX technologies whilst still keeping their existing handsets. As a global commercial aircraft leasing company, incorporated in Bermuda and headquartered in Ireland, Genesis Lease Limited required a robust but practical telephony solution that would suit our business needs. By implementing an Avaya IP Office system in our Irish office, has provided a flexible solution allowing the company to communicate with its clients across the globe. Lantel, a reputable company specialising in the communications market have been engaged by Genesis to provide the necessary assistance and advice ensuring a resilient in-house telephone system. "On behalf of the Fleadh committee I want to thank you most sincerely for providing us with the phone system, it worked so well." We chose Lantel to install the Avaya IP Office phone system as it had all the benefits and features that fitted around our business. It is a very reliable phone system and we are very happy with Lantel for all the support they continue to provide us with.